Successful service delivery is achieved when governments and their professionals make the right decisions. 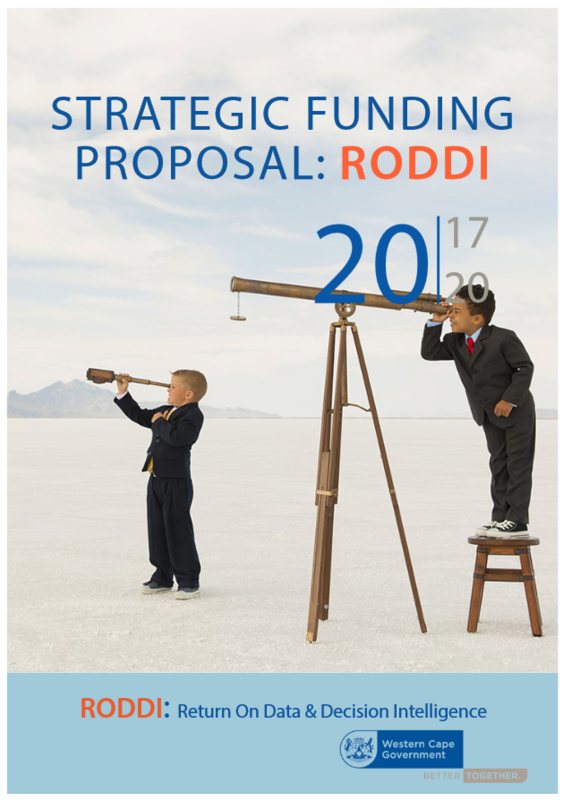 This strategic plan outlines the Western Cape’s ambition to establish an online Return on Data and Decision Intelligence (RODDI) decision-making tool. This tool will provide approximately 78 000 civil servants of the Western Cape Government (WCG) with data governance and decision intelligence to make more informed, better, and faster decisions; improving sustainable development for communities and companies within the ambition of the Sustainable Development goals (SDG’s).Despite the challenges that affect the whole country, the Western Cape shows impressive progress in the area of sustainable development. The WCG has a reputation of delivering good and consistent services to communities and companies, because of its use of relevant and accurate sources of information. To further accelerate the progress in operational service delivery within the province, the WCG wants to invest in an intelligent decision making tool named RODDI. This tool supports professionals both offline and online (blended) to make better decisions every day. The RODDI beneficiaries are professionals who share the same ambition of participative and informed decision-making.